Super Middleweight Chad ‘2 Slick’ Sugden will have to wait to set the record straight after his controversial points loss to Alistair Warren in December, following his opponent’s decision to pull out of next month’s rematch. Billed as REVENGE for the Nottingham-born rising star from Suggy’s Gym, the return contest was scheduled to be one of the joint headline bouts on the show at Bingham Leisure Centre on Saturday 4 February. “We’ve been working hard in the training camp and looking forward to an early opportunity to turn the tables on Alistair after the December loss, so his decision to withdraw a few days ago came as a big disappointment,” said Chad. “I wasn’t at my best physically for our first fight and this was going to be my chance to show everyone what I’m really capable of. “Although I’m not underestimating how tough and capable Alistair is in the ring, I know that when I’m at the top of my game I can and will beat anyone. 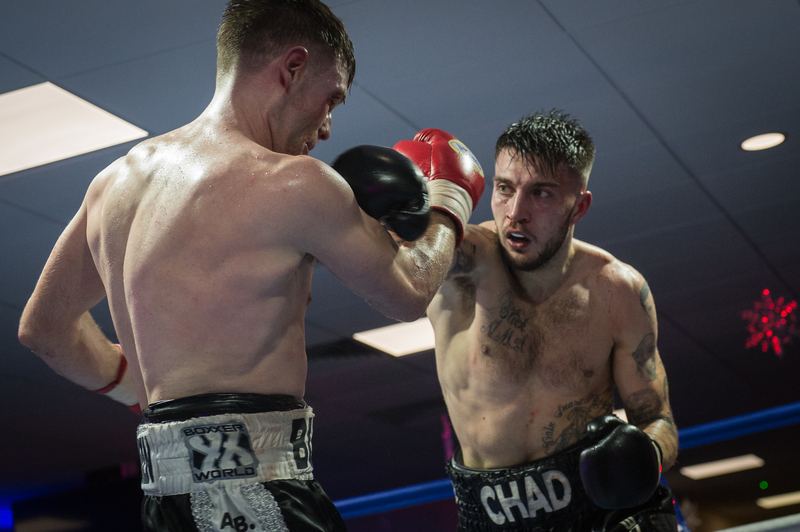 “The Bingham show was set up around the rematch and the timing of it was crucial to us,” said Chad’s manager and trainer, Dean Sugden. “The fact that they’ve pulled out three weeks ahead of the fight because Alistair has flu is interesting and does make us wonder if, on reflection, they had some doubts as to how the rematch would go. “But we’re still hoping for a return and for us, the sooner the better. Although the first fight was a cracker, we’re confident the second will be a different one altogether, with a different result.